I think I might have accidentally given myself a deadline. 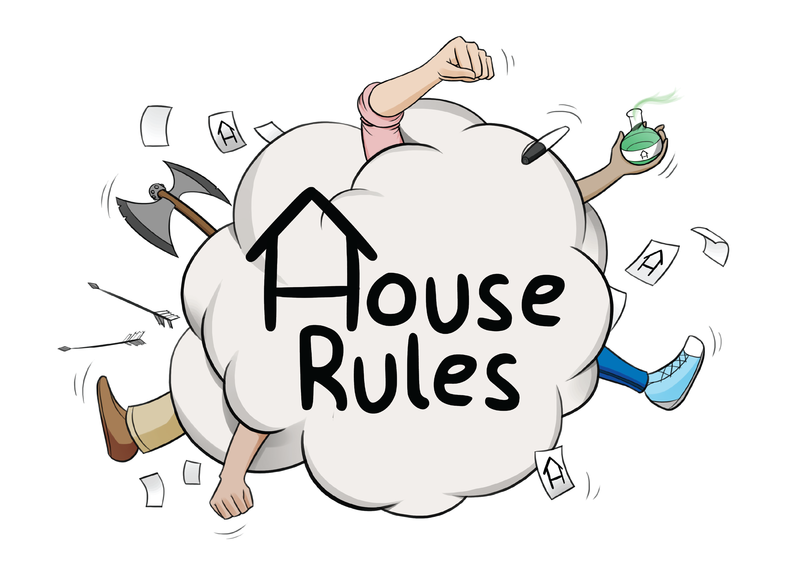 By the end of the year, the House Rules kickstarter campaign will be large and in charge. A lot of work has gone into getting this far, but it needs a little more to get to it's potential. The one where I find people more talented than I am. Dudes be all like, shits tight yo. Testing will continue until morale improves. Game testing from the last month has yielded fantastic data! The June update. Let's do one of these a month!